SeaCity Museum opened exactly 100 years after the Titanic set sail from the city. 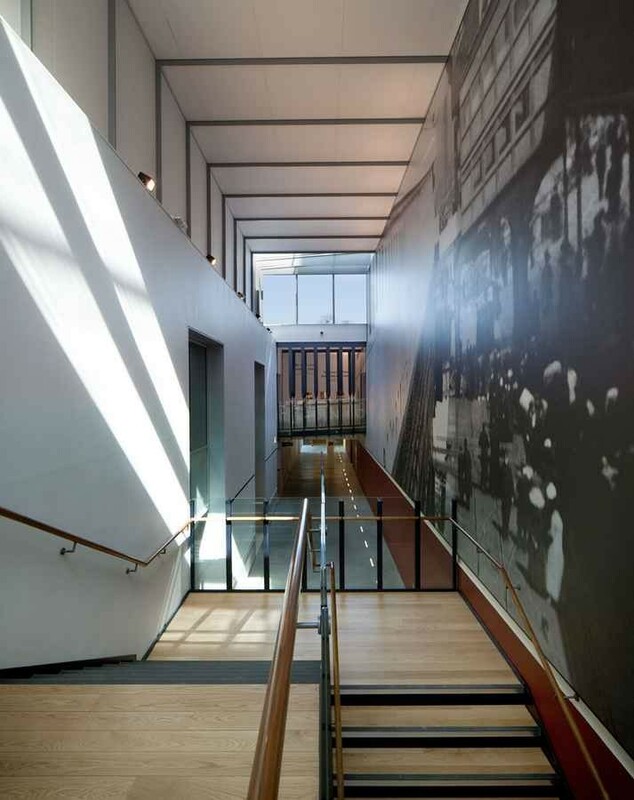 The iconic new museum celebrates the city’s maritime heritage and commemorates the crew of the Titanic. 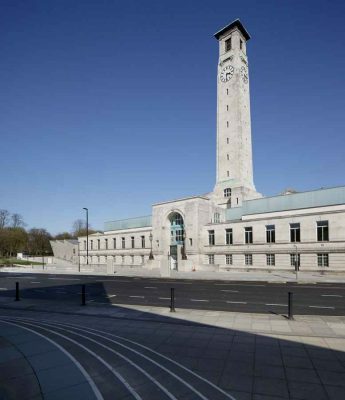 SeaCity Museum, which cost £15million, tells the story of Southampton’s crew on the Titanic, and the impact the tragedy had on families in the city. It also features other major maritime led exhibitions, telling the stories of people who have arrived and departed in the city since pre-historic times. Wilkinson Eyre Architects has unveiled images of Southampton City Council’s new SeaCity Museum opened on April 10th 2012, exactly a century after the RMS Titanic set sail from Southampton. The design for the £15m museum, which has refurbished and extended one of city’s most important civic buildings, will tell the largely untold and fascinating story of the crew on board the Titanic and the impact the sinking of the world’s most famous ship had on families in Southampton. The Museum will also feature other exhibitions about the city’s maritime past and present, telling the stories of people who have arrived and departed in the port over the past 2,000 years. 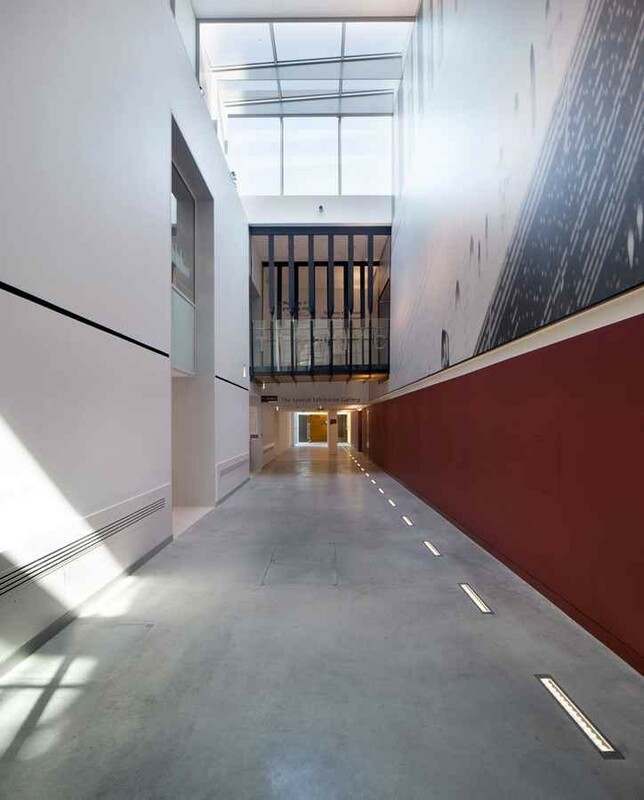 The project’s architectural brief was to reinvigorate the existing Grade II* listed Magistrates’ Court building, which includes courtrooms and cell block, to create 2000 sq m of exhibition and learning space. 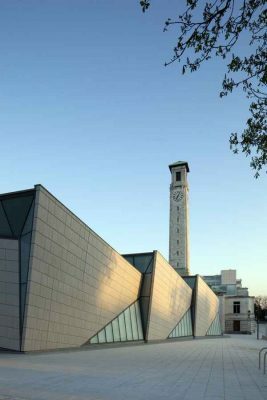 Plans also included the addition of a pavilion, which signals the presence of a new important cultural attraction within the city, and has taken the form of a bold architectural addition connected to the north façade of the existing building. 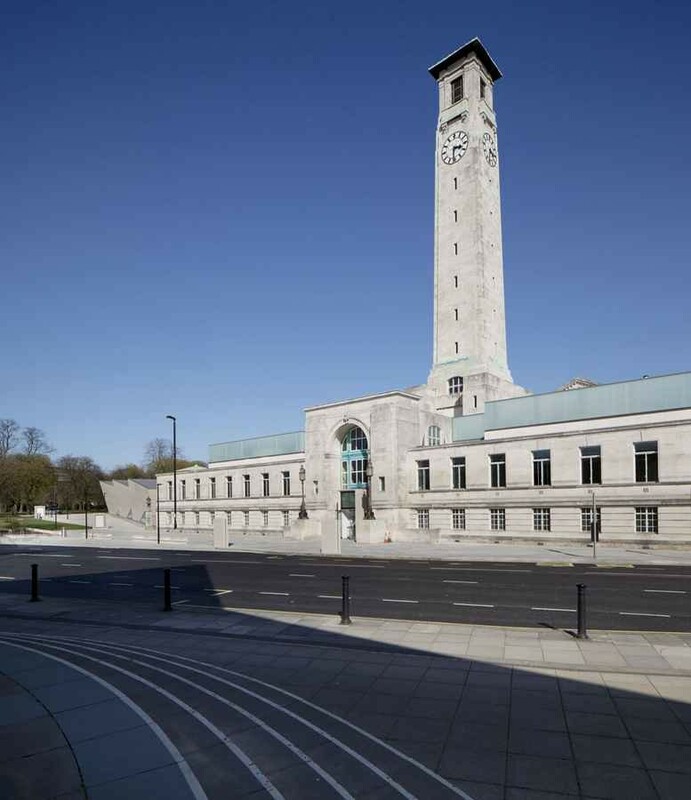 The Magistrates’ Court building forms part of a complex, collectively known as the Civic Centre, which was designed by E. Berry Webber and represents one of the most important 1930s buildings of its type in the south of England. On entering the building, visitors move into the foyer that provides orientation and connectivity between the two principal levels of the building and opens to the dramatic newly-refurbished Grand Hall. The main entrance space provides access to the ground floor, where the ticketing, shop and cafe are located. This is adjoined by a triple height light well that has been formed by enclosing a former prisoners’ exercise yard. A continuous red oxide wall, which recalls the antifoul paint of the Titanic, links the entrance space, light well and pavilion’s lobby, and has been designed to help visitors navigate the different spaces. A bridge spans across the northern end of the light well, acting as a ‘gangway’ for visitors within the Titanic exhibition. Above the bridge, a roof light frames views of the clock tower; as the height from the light well to the tower is approximately the same height as the Titanic’s funnel, this design feature gives the impression of the scale of the ship. The design for the SeaCity Museum remains sensitive to the existing characteristics of the building and uses the qualities of these restored spaces to enhance the visitor experience. Significant adaptations of the Grade II* listed building, which have been done in close consultation with English Heritage, include the transformation of the court rooms into exhibition spaces, plus the restoration of the original prison cells into toilet facilities and also the refurbishment of the original steel frame of the building. 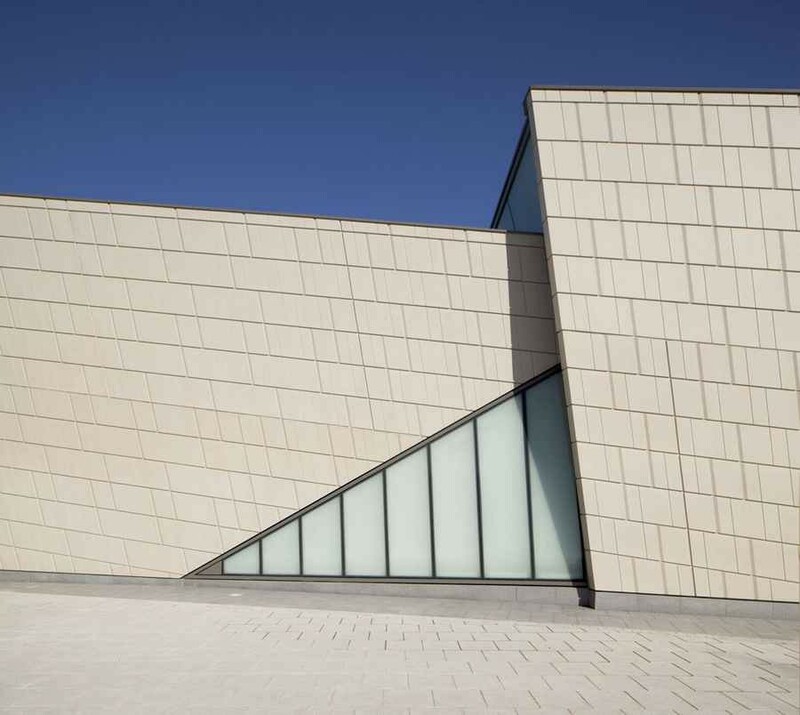 A simple material palette of glass and reconstituted stone has been used to make sensitive, contemporary additions to the existing building, including glazed roof extensions and a new single storey pavilion connected to the northern façade of the existing building. The pavilion is linked to the Magistrates’ Court building via a glazed link, designed to act as an independent entrance into the extension if required. The pavilion’s geometric design negotiates an irregular site where the ground rises two metres from south to north. As a result, the structure – which takes the form of three interlocking bays rising in parallel with the ground – corresponds to the surrounding buildings whilst making a bold architectural statement. The façades are formed of reconstituted stone precast panels and translucent, backlit reinforced glass panels, allowing for natural light to reach the interior spaces. 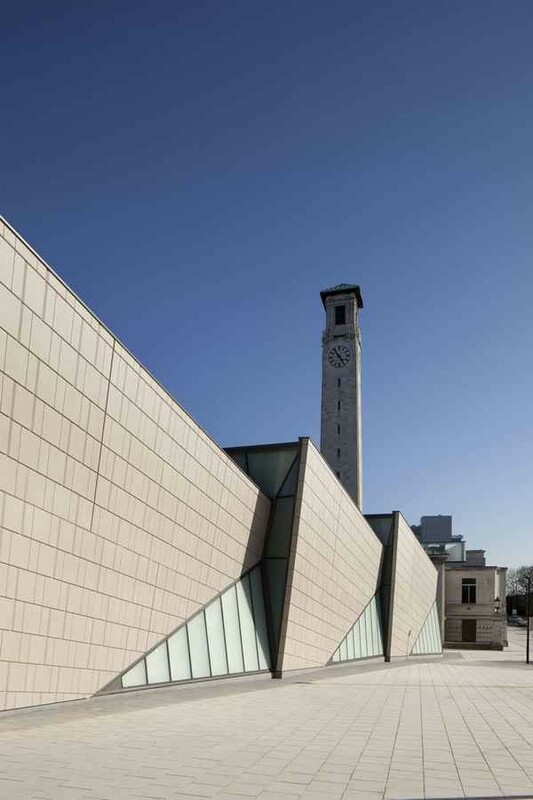 The use of stone aggregate also ensures that the exterior of the pavilion is consistent with the architectural style of the Magistrates’ Court building. 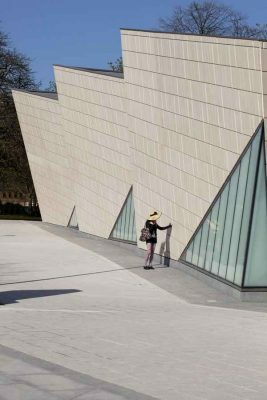 Wilkinson Eyre Architects also designed the landscaping that surrounds the museum, creating green areas and a new grey granite pedestrian path that connects the SeaCity Museum to Southampton’s City Centre.